I know that I have many habits that affect my health, wealth and happiness and, until I discovered NLP and my unconscious mind, I didn’t know how to change them. I also see a lot of clients who have habits that are not useful and I help them to change what they do. Examples of habits that are not useful- well at least in my mind- are smoking, drinking alcohol to excess, eating in an uncontrolled way, avoiding things that keep us organised and so on and so on.. In fact, any behaviour that you wish you didn’t do on a regular basis. All of our behaviour is driven by our unconscious mind , so in order to change a behaviour or habit, we need to unpick what is happening at that level, and find the trigger for it. Watch the video below and then read about the question that enables us to unpick the habit and therefore start to change it. “How do you know it’s time to ……. (the behaviour/habit)…..? I walk from my log cabin to my house and I look at the clock, I see its 6 o’clock, I say to myself “it would be great to have a glass of wine” and I open the fridge and pour myself a glass of wine. So the trigger is looking at the clock. The behaviour that follows once I’ve seen it’s at least 6 o’clock is to walk to the fridge and open the fridge and pour a glass of wine. I could decide to look at the clock and see it’s 6 o’clock and then pour a glass of water and go for a walk instead. So think about one habit that you would like to change, find the trigger and then change what happens after the trigger. If you want some help with this or you think that the behaviour is too ingrained, get in touch with me to get help. 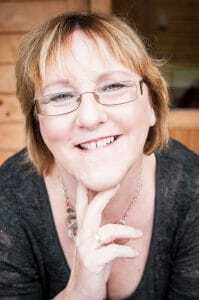 You could also learn how to change other people’s behaviours by coming to an NLP Practitioner course. Click here for more details and testimonials. Until next week- Be healthy, wealthy and happy! Do you have habits that are unhelpful? 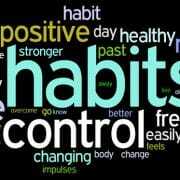 This blog talks about how habits are formed, and why they would be helpful to change, very quickly!